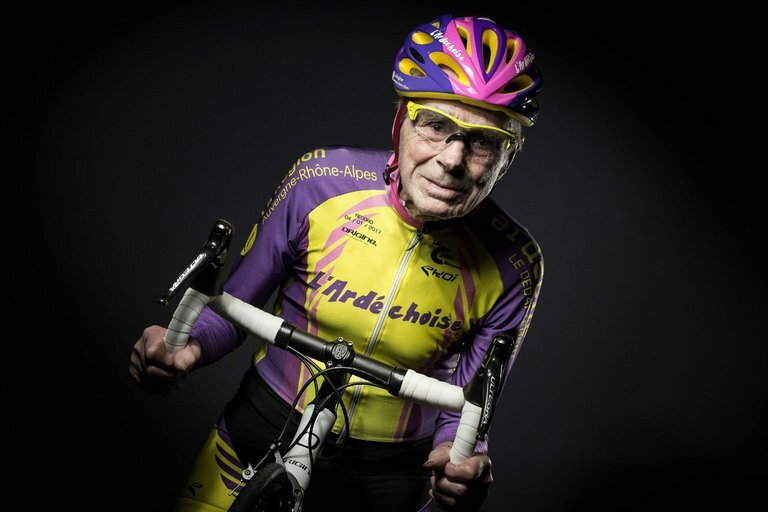 Editor’s Note: On January 4, 2017, Robert Marchand set a new World’s Record by cycling more than 14 miles around a track in an hour – in the 105 year-plus category! This was not Mr. Marchand’s first record. He had already set a world’s record for the 100+ category 3 years prior when he came to the attention of a French professor of exercise science. She had a theory (untested) that if older athletes actually exercised more, they could increase their levels of fitness. Mr. Marchand agreed to participate in the study which is discussed in a recent article in The New York Times. Mr. Marchand followed this program for two years. Then he attempted to best his own one-hour track record. First, however, Dr. Billat and her colleagues remeasured all of the physiological markers they had tested two years before. Mr. Marchand’s VO2 Max (an accepted scientific indicator of fitness) was now about 13 percent higher than it had been before, she found, and comparable to the aerobic capacity of a healthy, average 50-year-old. He also had added to his pedaling power, increasing that measure by nearly 40 percent. Unsurprisingly, his cycling performance subsequently also improved considerably. During his ensuing world record attempt, he pedaled for almost 17 miles, about three miles farther than he had covered during his first record-setting ride. ← Keep Working. Stay Sharp.